sMATHy : No more Math panic! 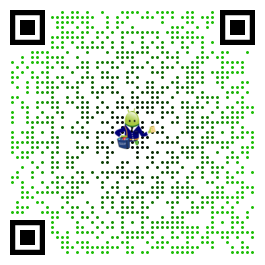 Want to learn & practice math while having fun? 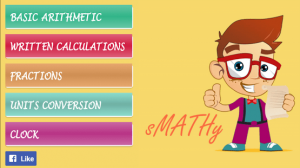 The two amazing main characters in s MATHy have a single purpose, helping you learn & practice the basics of MATH. s MATHy is not your regular traditional math lesson, an everyday chore, but a fun way of learning while competing for Bronze/Silver/Gold cups. While its cartoon-like graphics make it appealing for kids, this app is a good choice for people all ages as long as the desire to learn math is strong. May the MATH force be with you! Basic Arithmetic practice. No matter your age, it\’s always good to sharpen your mind. With sMATHy you can practice addition, subtraction, multiplication, division and greater/smaller comparisons, in easy or hard mode. Have fun with Written Calculations. Just like old school, you will have 2 rows of numbers (column-form approach) with one of the main 4 operations to perform (+, -, *, :). Write the result and check it, the more correct answers you get the higher your score. Remember Fractions? You can practice fractions fundamental , such as comparison/equivalent/improper fractions, or work with fraction arithmetics (addition/subtraction). Convert Units. Learn and test your knowledge of weight & height measurement conversions (i.e. km to meters) or transform currencies in lower units (i.e. 1.5 Euros to Eurocents). Read the Clock. Practice reading time from an analogue clock captioned with Arabic or Roman numbers, or even with no numbers at all.